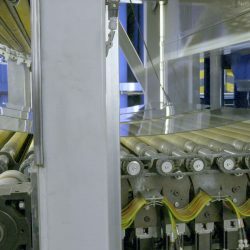 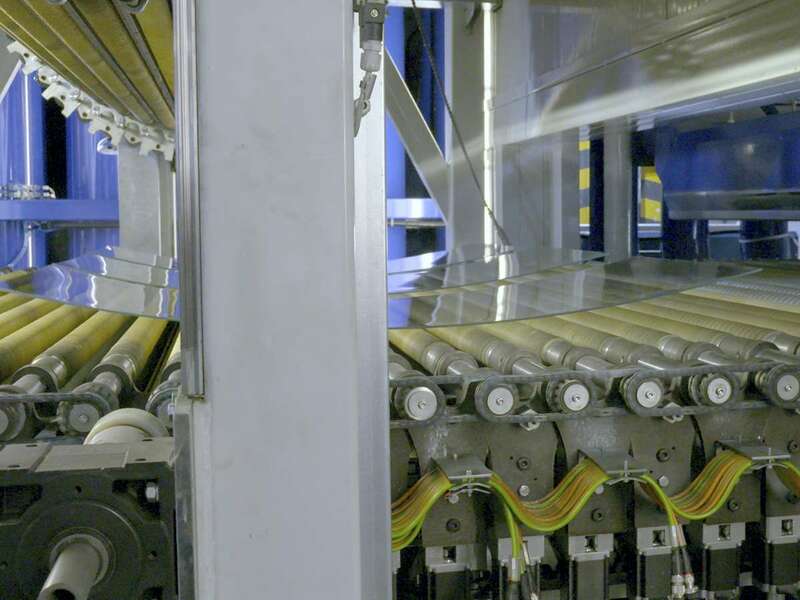 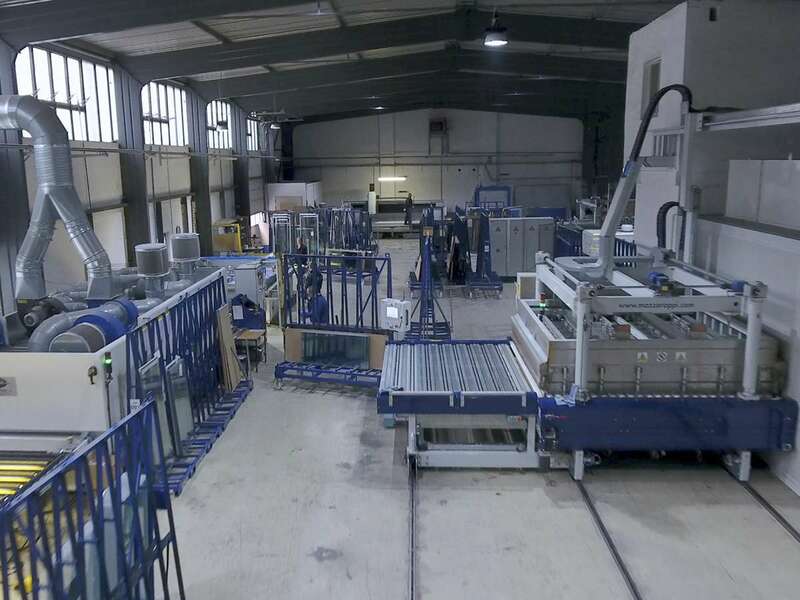 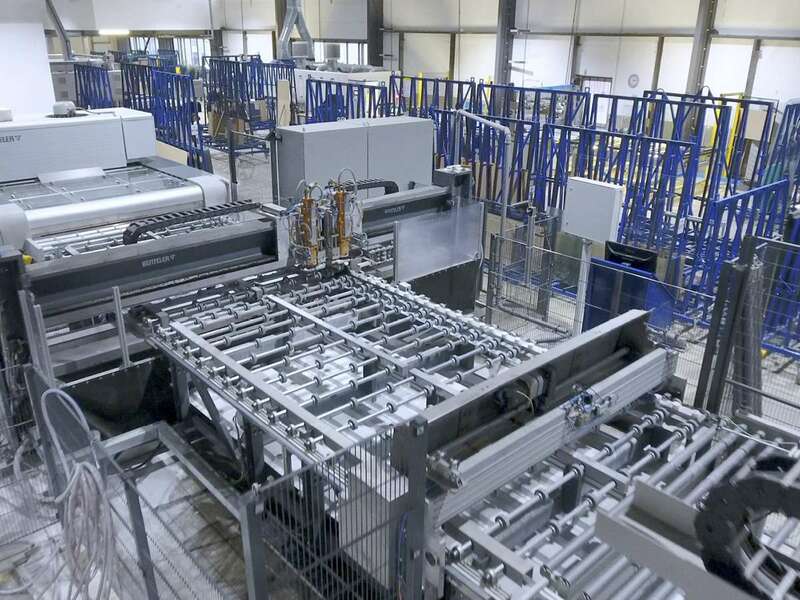 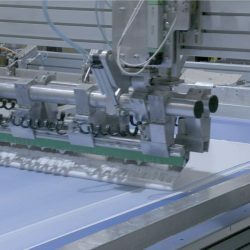 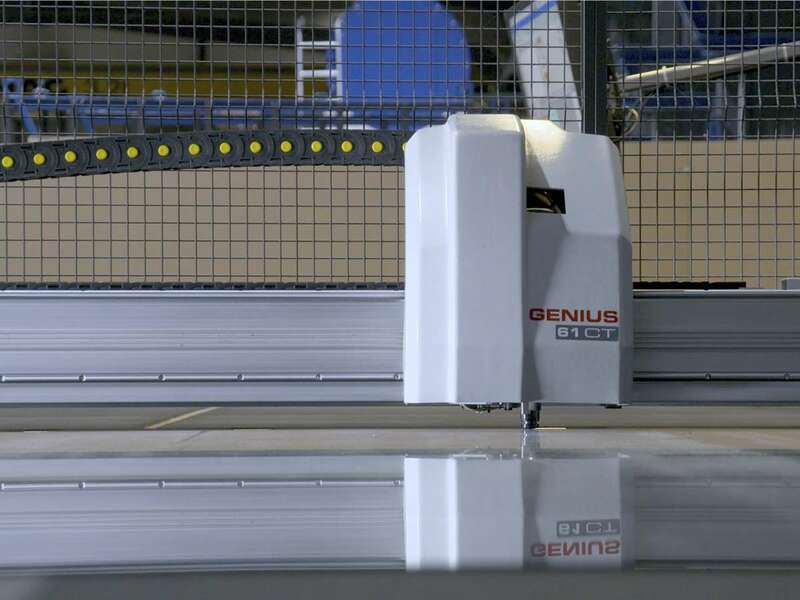 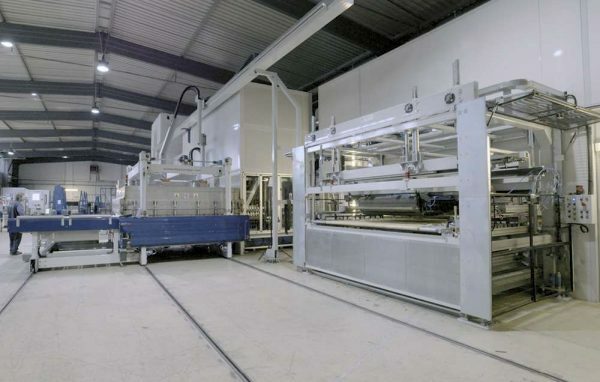 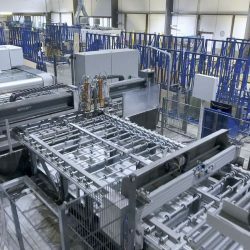 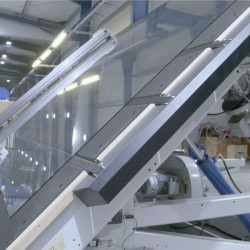 Fully automatic trimming of glass of all kinds and shapes from strip or panel dimensions up to 6 m x 3.21 m.
Processing of glass panels with special coating (multiple anti-reflective, low-e coating). 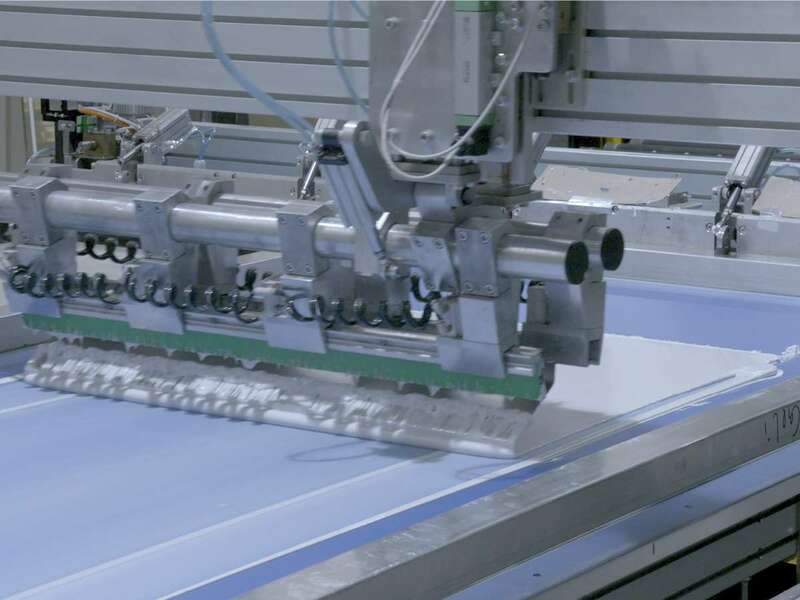 Further processing (grinding, drilling, washing) in a combination system. 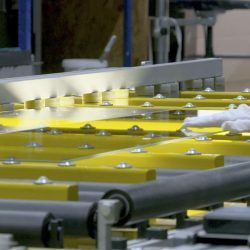 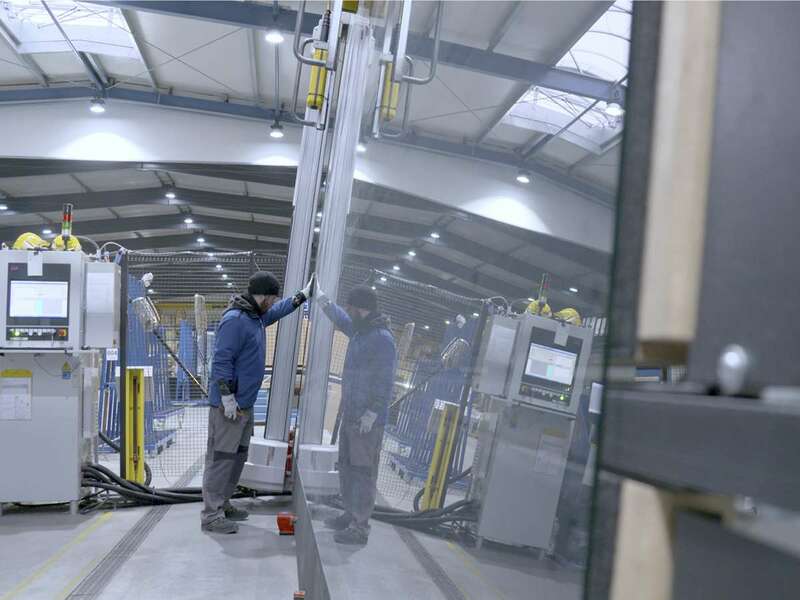 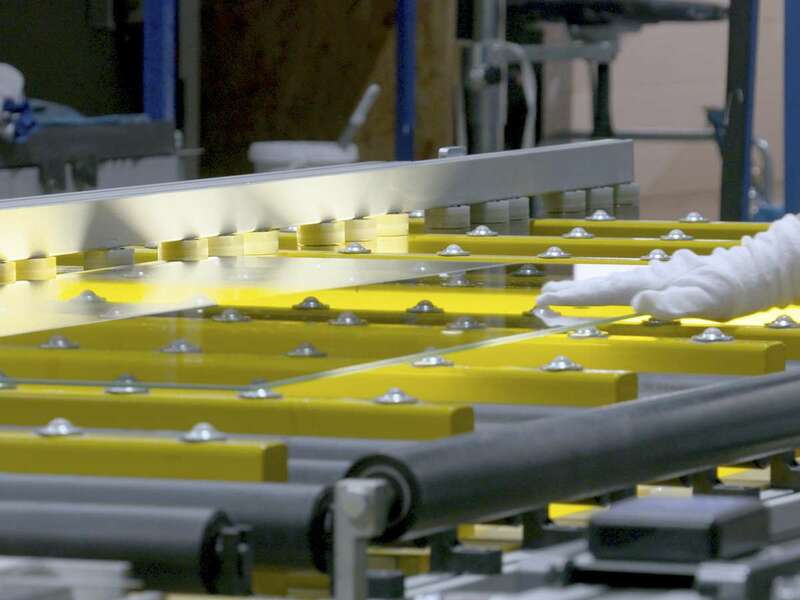 Grinding of the glass panels after cutting (oversize) to the finished dimension with an all-round C-edge, in a matt or optionally high-gloss polish finish. 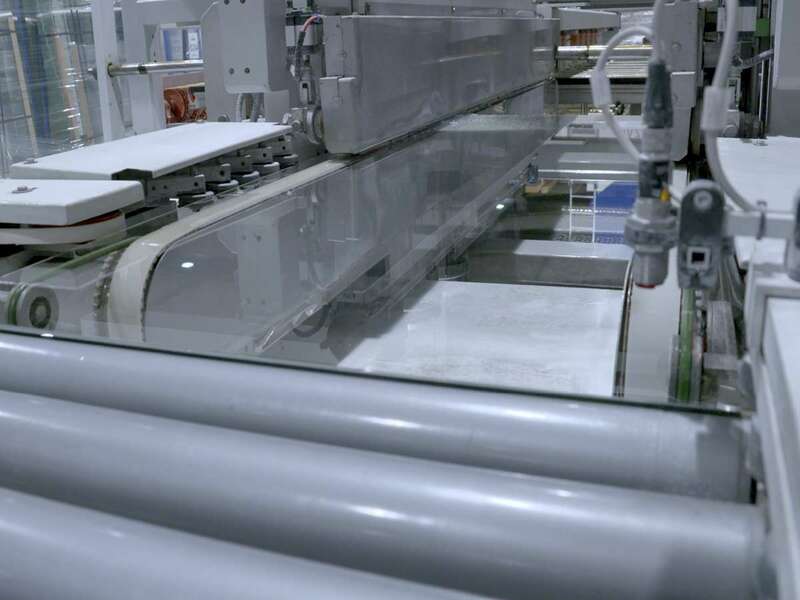 If required, the glass panels can be provided with a corresponding hole pattern by means of an NC drilling machine integrated in the line. 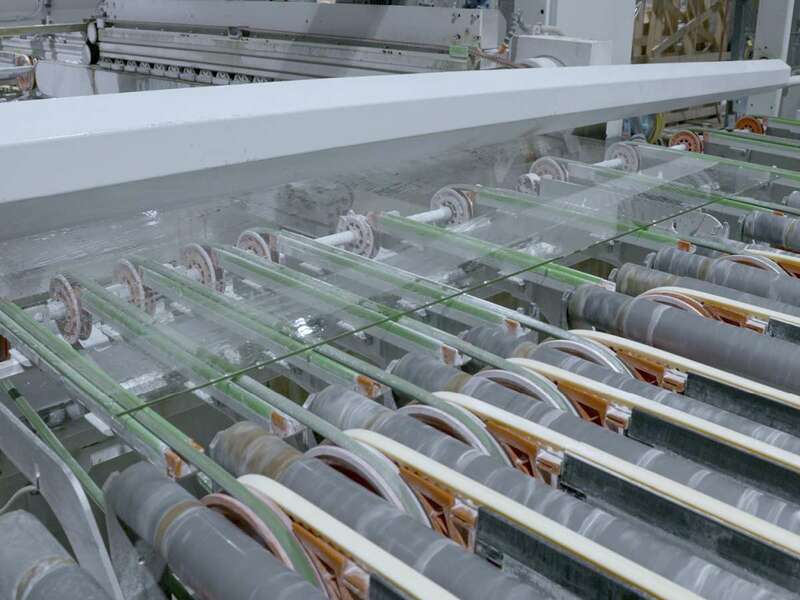 At the end of the line, there is a glass washing machine which is designed even for sensitive low-e glass panels. 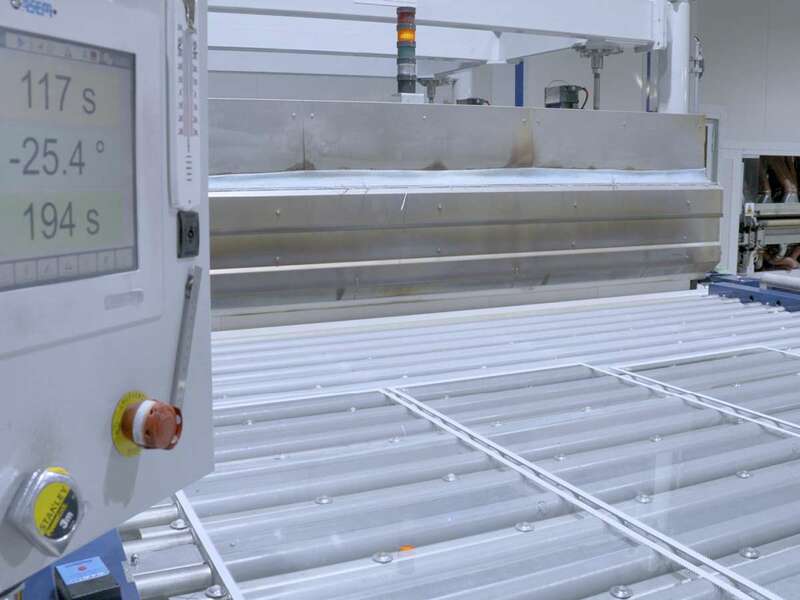 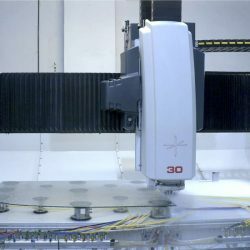 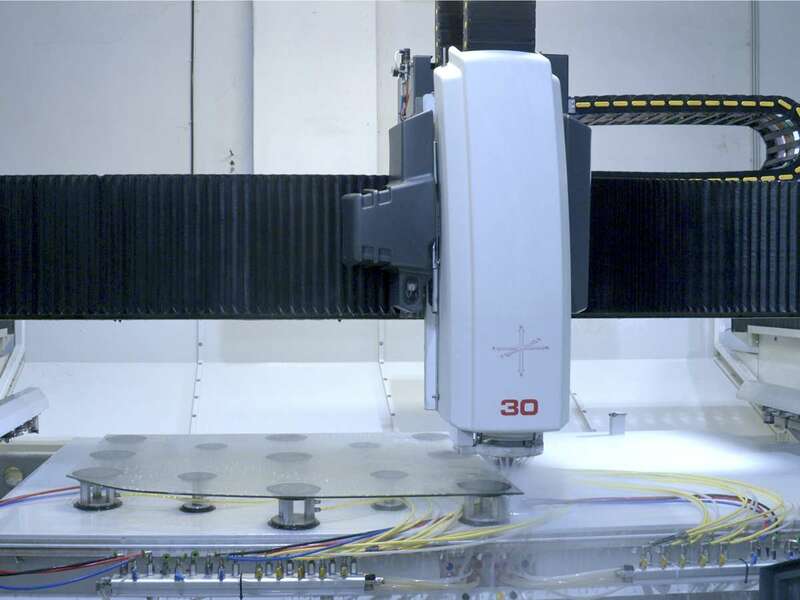 In parallel to this, the glass panels can also be processed further in a CNC machining center. 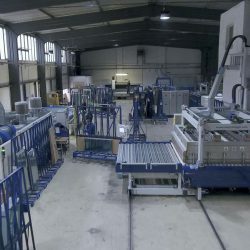 This is where free forms, cut-outs and many other features can be produced. 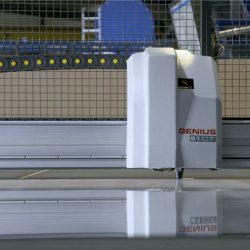 An intelligent arrangement of systems means that each of the systems can supply the other by means of bypasses. 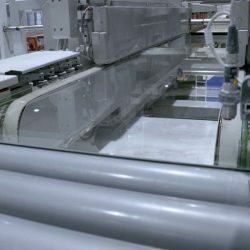 Depending on the customer requirement, decorative and/or functional prints can be applied to the glass by screen printing. 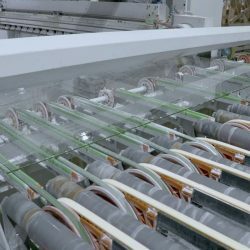 Directly following printing, the newly printed glass panels pass through a drying oven, and are then transferred to the tempering oven. 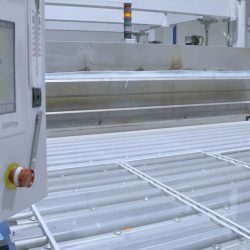 Mounted on a system of rails and with a modular design, the full convection oven can move to 3 different production lines independently. 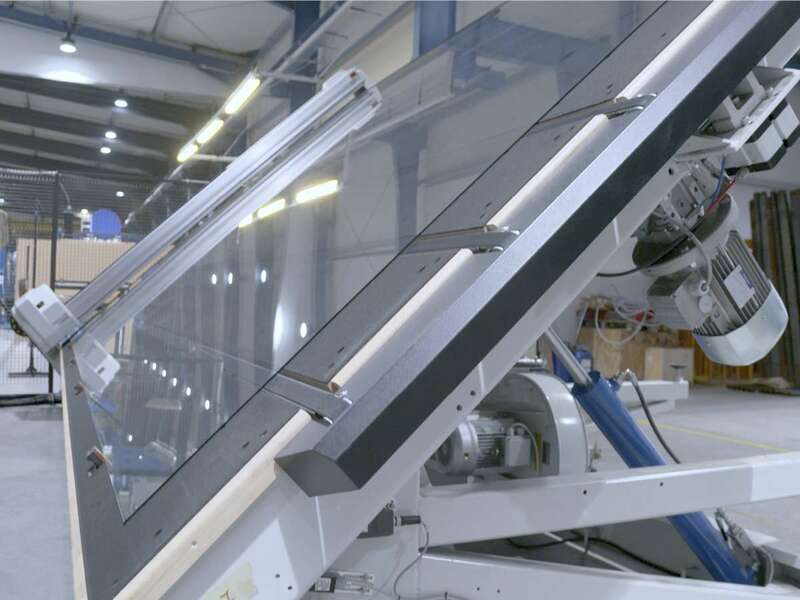 The interplay of temperature, time and cooling incorporates single-pane safety glass into the processed glass panels in accordance with DIN EN 12150. 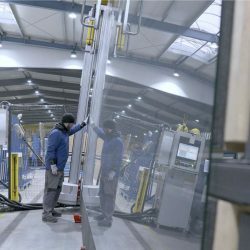 In addition to the production machines and systems, PAN-DUR Glass has its own toolmaking shop with tool development as well as an assembly department for finishing and final assembly of individual PAN-DUR systems.